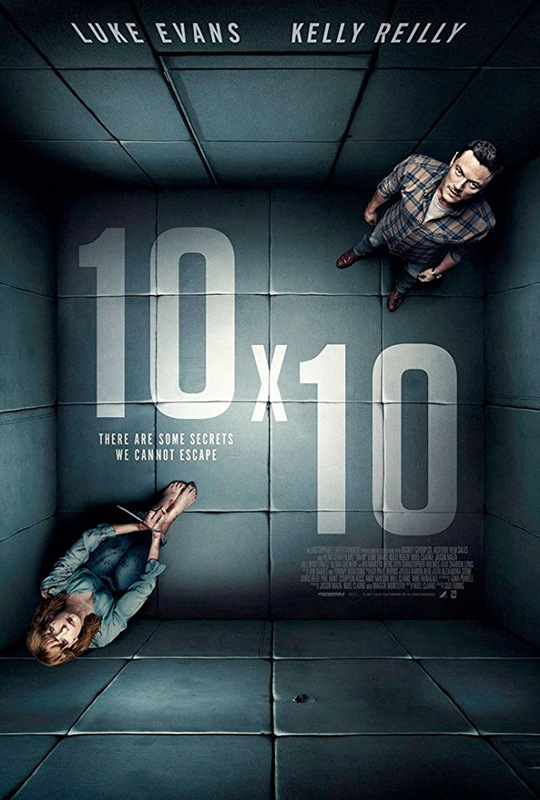 "This is only going to end one way…" Vertical Entertainment has unveiled a trailer for a kidnapping thriller film titled 10×10, the feature directorial debut of English filmmaker Suzi Ewing. This twisty, psychological thriller is about a man who kidnaps a woman and keeps her locked up in a 10×10 room/cell, hence the title. However, the reason he's keeping her there is not for the reasons you might expect. He's trying to "extract a dark secret from her past." Luke Evans stars along with Kelly Reilly; the rest of the cast includes Olivia Chenery, Jason Maza, and Noel Clarke (who also wrote the screenplay). This looks solid, though I'm wondering if the reveal at the end is really going to be that interesting or just forgettable. Take a peek below. Just a few days from opening her new business, Cathy's (Kelly Reilly) fresh start is interrupted when she is attacked, kidnapped and locked in a room. She assumes the kidnapper (Luke Evans) wants her body or her life, but he is after something simpler… her name. 10×10 is directed by British filmmaker Suzi Ewing, making her feature directorial debut after a few short films previously. The screenplay is written by actor Noel Clarke, with Suzi Ewing. This did not play at any major film festivals, as far as we know. Vertical Ent. will release Ewing's 10×10 in select theaters + on VOD starting April 13th this spring. What do you think?